It's never too early to start a wee one's first coin collection! 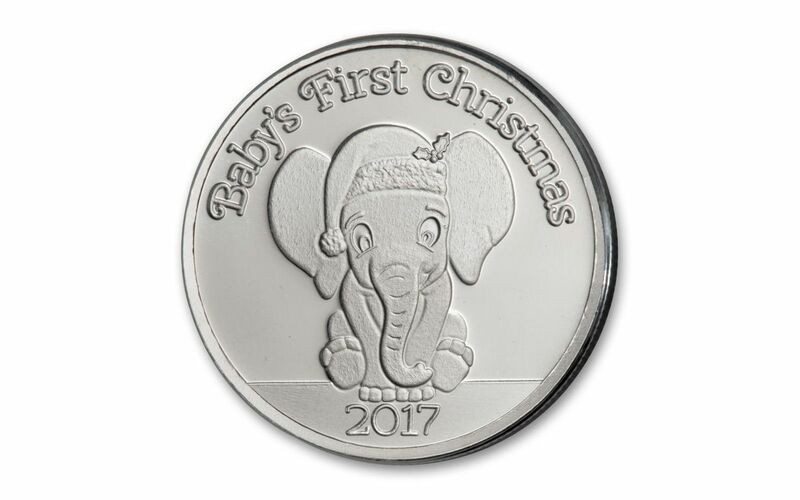 This 2017 Baby's First Christmas Baby Elephant 99.9% silver round is the ideal gift for new parents and a thoughtful gift for a baby's first Christmas. It's sure to be an appreciated, unique present and one that won't be duplicated. And what better gift to give than a 99.9% silver! Don't delay, order this gleaming Baby Elephant silver round for your favorite baby born in 2017 today. DARLING BABY ELEPHANT - This 1-Oz. Silver Baby Elephant Round shines with an obverse featuring a baby elephant wearing a cute Santa hat with the inscriptions, "Baby's First Christmas" and "2017". 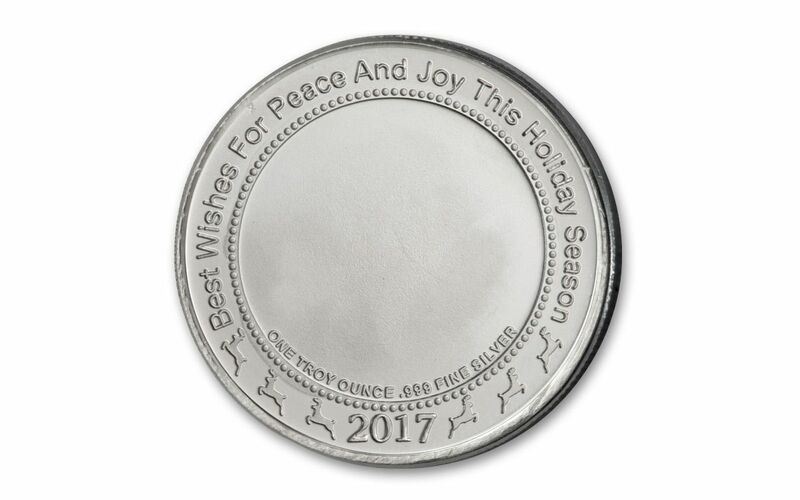 The reverse features the words "Best Wishes for Peace and Joy This Holiday Season" along with "ONE TROY OUNCE .999 FINE SILVER" and "2017". The perfect gift to start the perfect hobby! SPECTACULAR 99.9% FINE SILVER - Brilliance and fineness meet in this special, holiday-themed 31.1-gram silver round. It looks like it just left the Mint! Each round's design is struck in pure .999 fine silver with sharp details and lustrous fields displaying crisp words and images. COINS VS. ROUNDS - The difference between coins and rounds is that coins have a face value and rounds do not. Rounds are issued by private Mints, as this one. GLEAMING, UNCIRCULATED CONDITION - This round is uncirculated, freshly minted and has seen absolutely no general circulation. It was produced specifically for collectors and holds tremendous mint luster that gives distinct definition to every detail along with luminescent fields. INCLUDES GIFT BOX - Your silver round will arrive in a clear plastic capsule for protection, along with an elegant red gift box for convenient gift-giving! PRIVATE MINTAGE - This is a specially- produced silver round, meant for coin collectors and struck by a private Mint. Silver rounds are one of the easiest ways to acquire silver -- and this round is no exception! Brand new for 2017, this First Christmas Baby Elephant Round would make a perfect stocking stuffer gift for a new niece, nephew, godchild or grandchild. 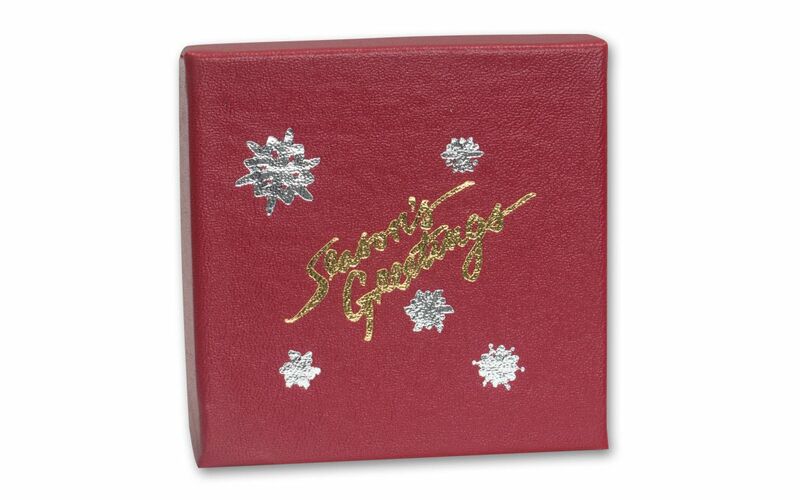 It's a striking gift with intricate detail and shining perfection. 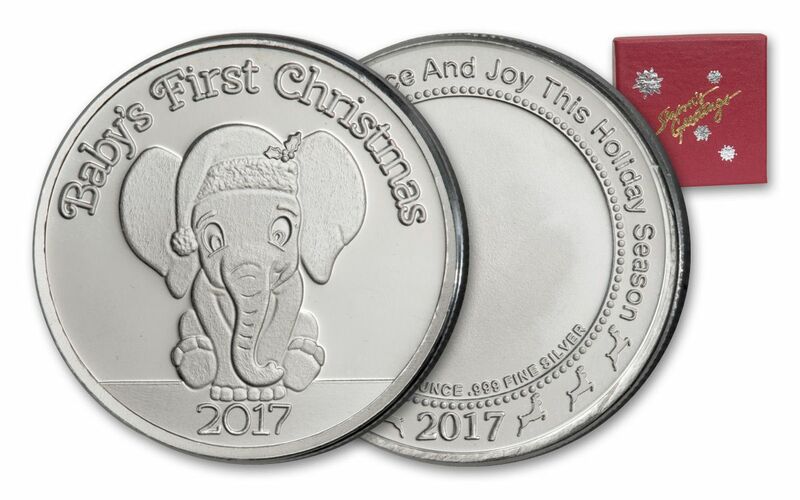 Hurry to get your 2017 1 Oz First Christmas Baby Elephant Round from GovMint.com now. Don't miss out on this unexpected gift for that new baby born in 2017!